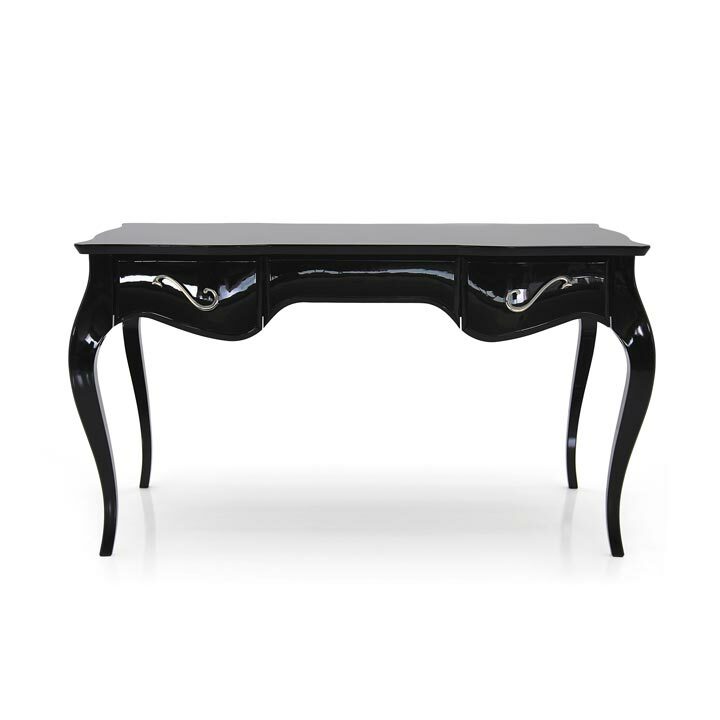 Elegant writing desk with markedly Contemporary lines and wooden structure. The sinuous shape and original handles have made it one of our most popular products. The best finish for this product is a glossy lacquer that enhances its contemporary appeal.